Dean's Professional Services is a Joint Commission Certified Health Care Staffing Service. The Gold Seal of Approval is a symbol of quality that reflects an organization's commitment to providing qualified and competent health care professionals. The American Staffing Association is the voice of the U.S. staffing, recruiting, and workforce solutions industry. ASA members pledge to adhere to a code of ethics and best practices; one of the principal missions of ASA is to encourage high standards of ethical conduct in dealing with employees, clients, and competitors. 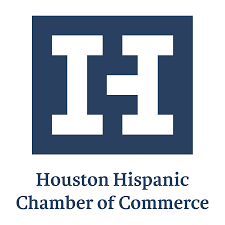 The Houston Hispanic Chamber of Commerce (HHCC) is the leading regional advocate for the economic and civic interests of the Hispanic business community. Through its issue advocacy, its media platforms with an audience reach of more than 3 million people, and its robust membership network, the Chamber is the leading united voice for its members and all of Hispanic Houston. The Greater Houston Partnership is a place for community-minded business leaders who want to be involved in Houston's positive growth and influence the direction in which Houston is going. The Partnership addresses Houston's unique challenges, and champions the growth and success of our region.